Bald much? lol!. I bet if Heather was in this, she'd be horrified! LOL!. 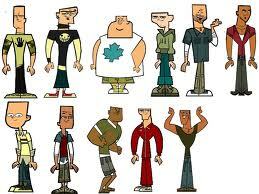 Wallpaper and background images in the A tutto reality - L'isola club tagged: total drama island tdi. This A tutto reality - L'isola photo might contain campana and bell.